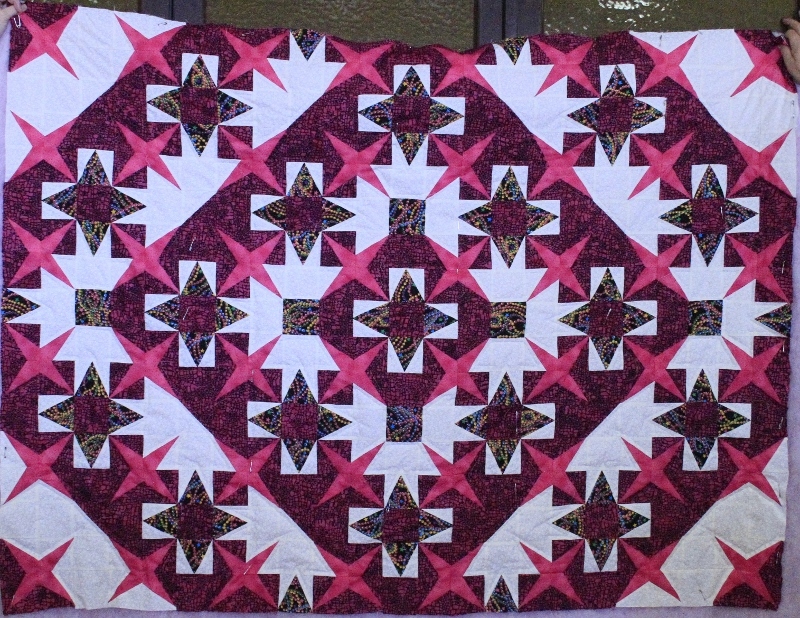 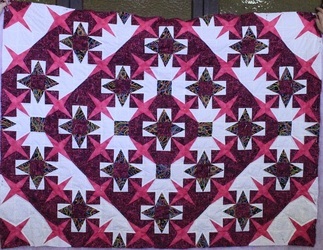 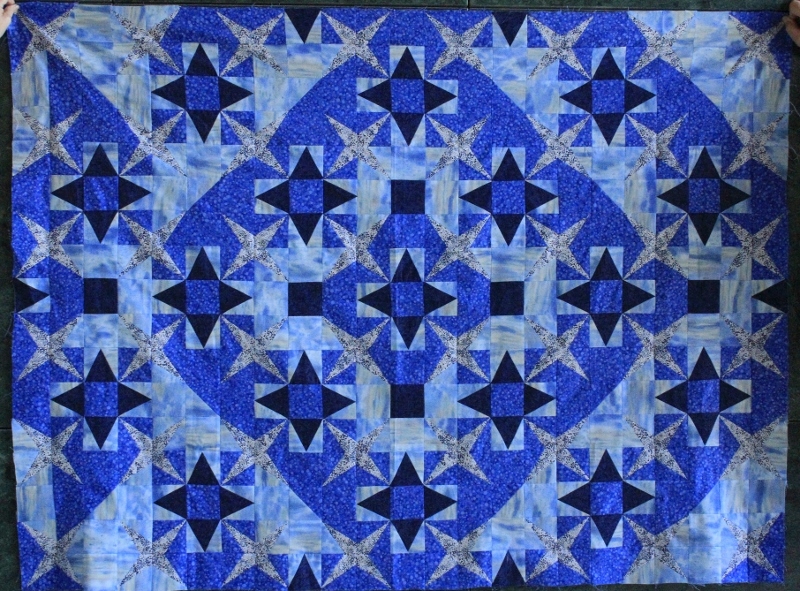 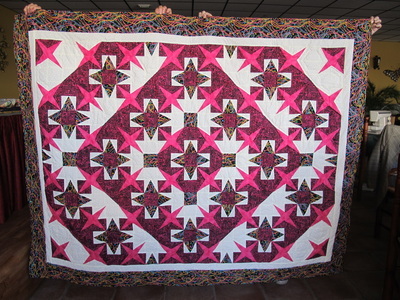 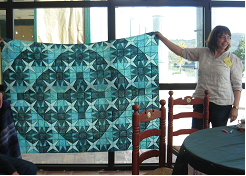 In 2012 we were challenged by Bobbie Turley, one of our founding members, to follow month by month instructions to produce a mystery quilt called 'Delta Dawn'. The challenge started in May 2012, with the final monthly instruction set for construction issued in September 2012. 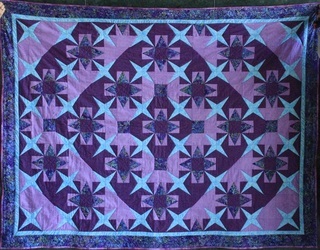 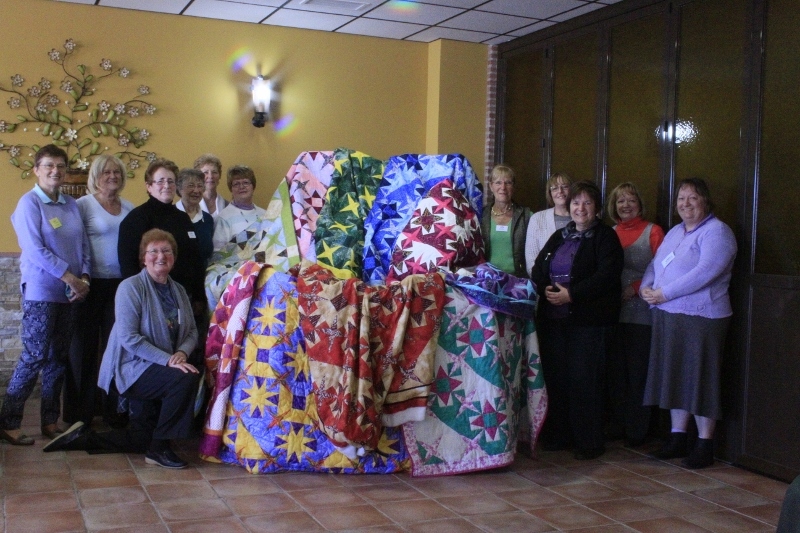 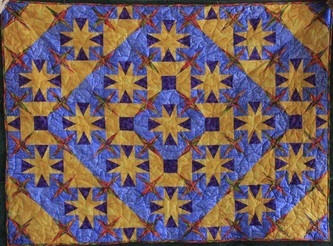 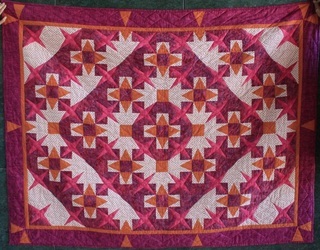 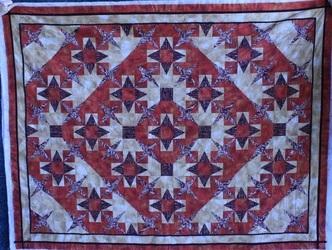 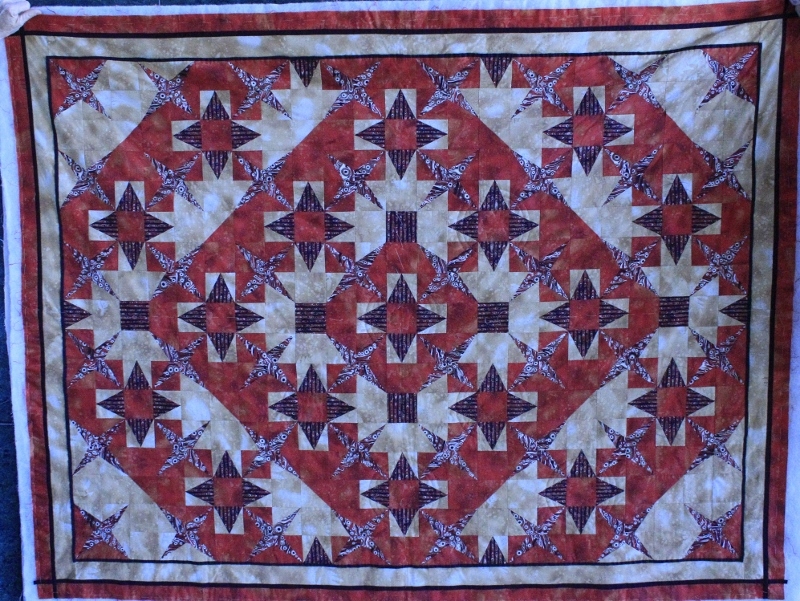 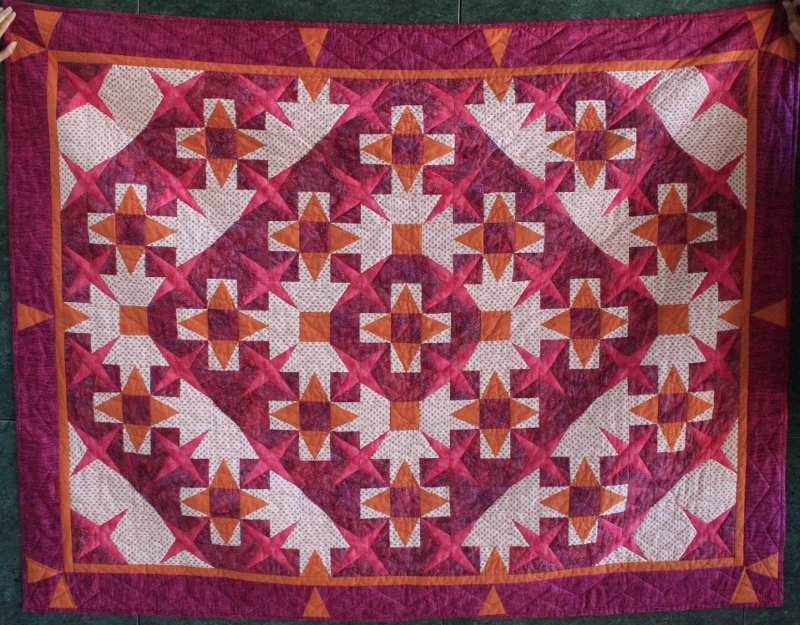 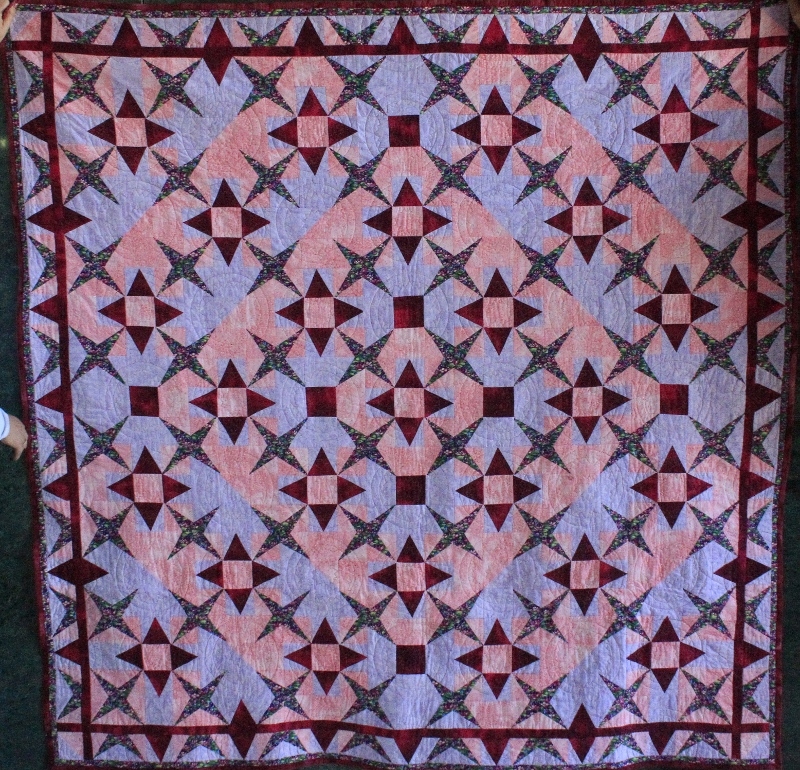 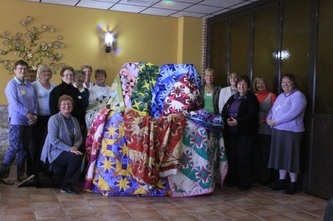 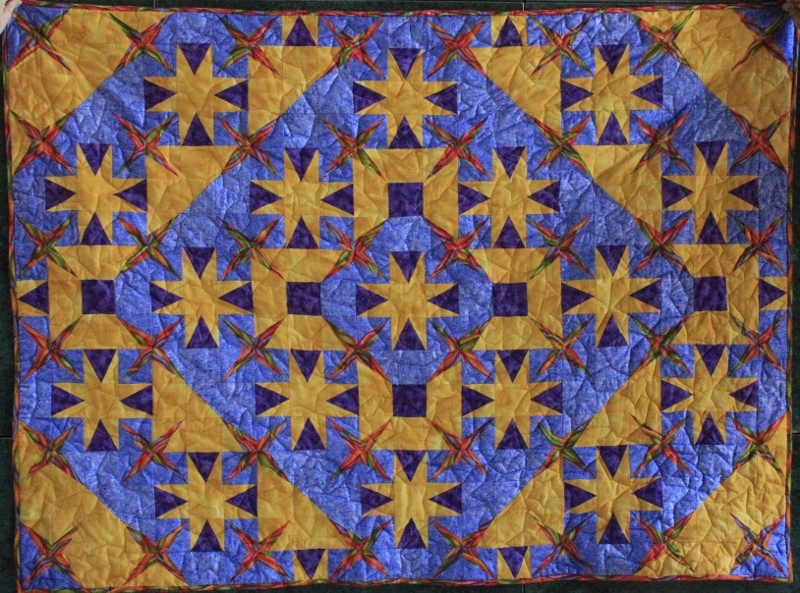 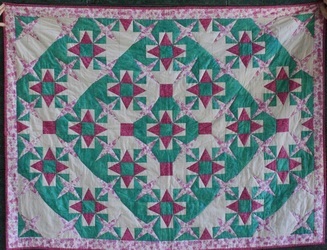 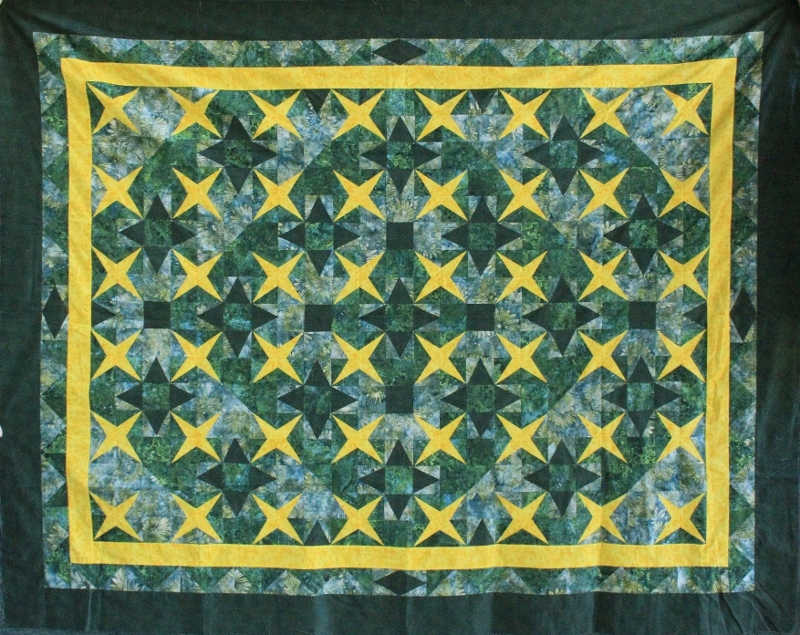 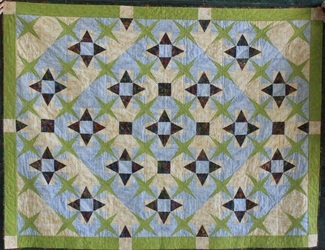 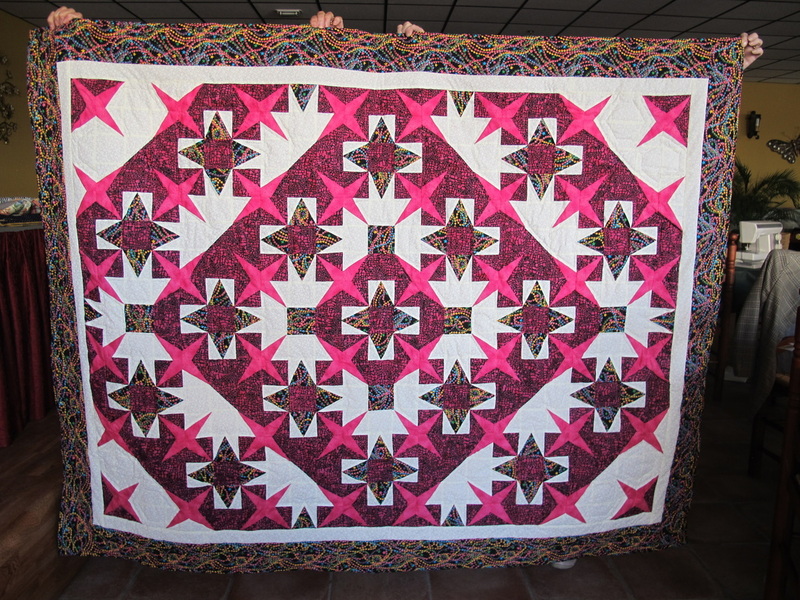 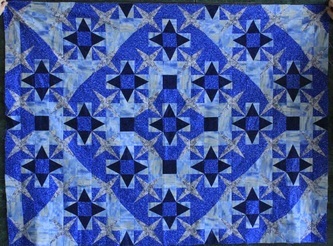 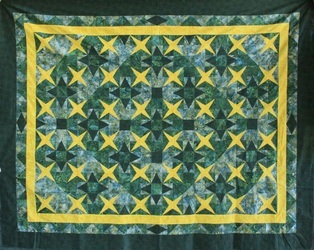 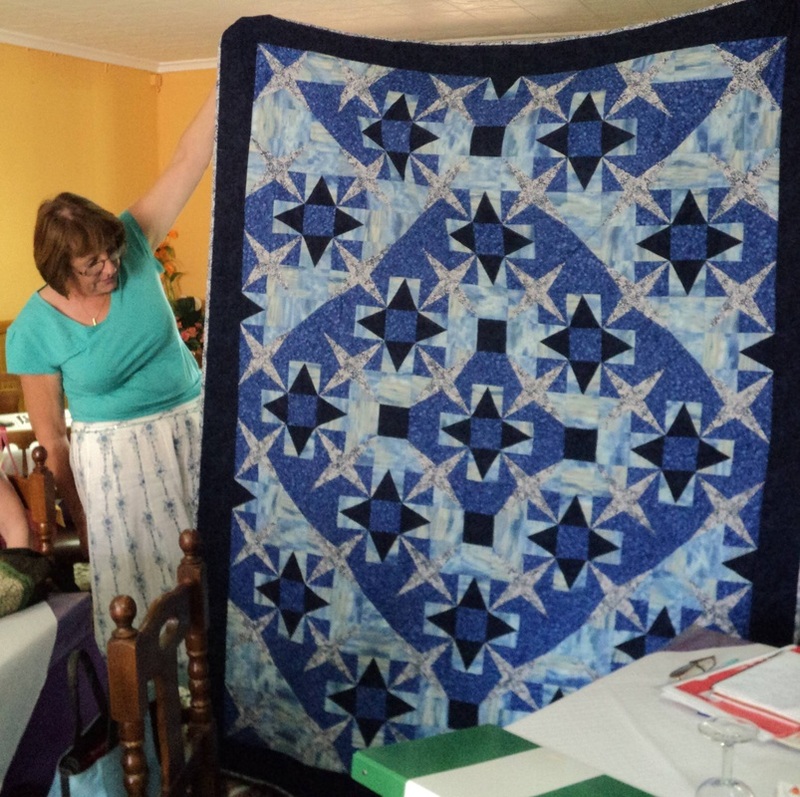 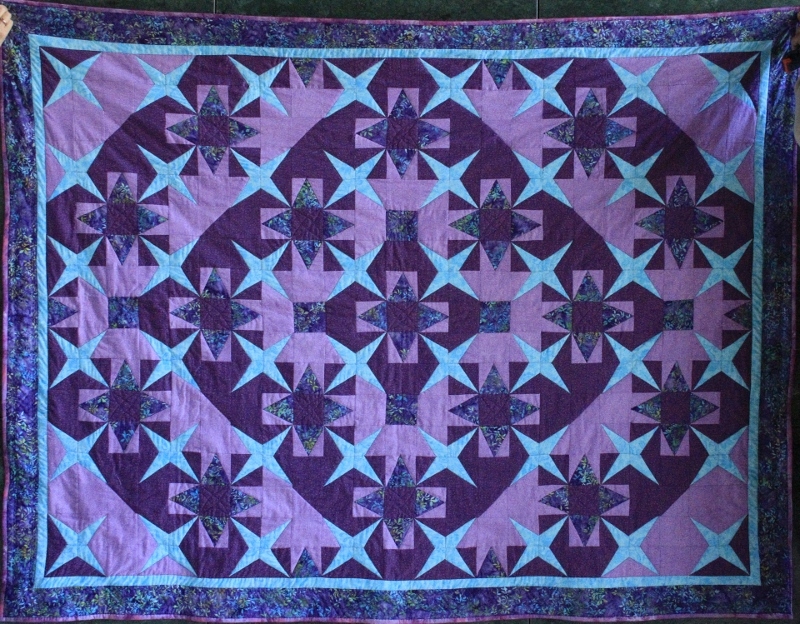 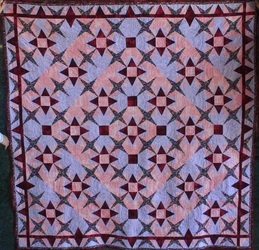 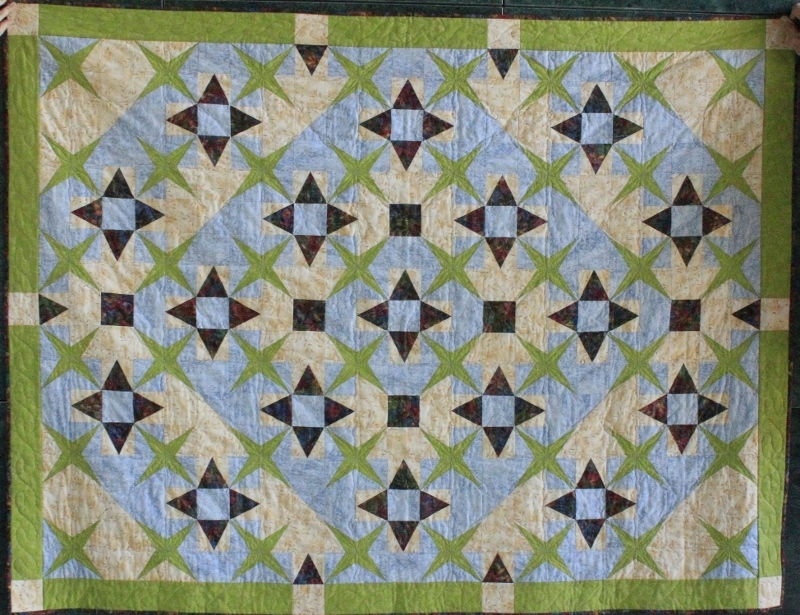 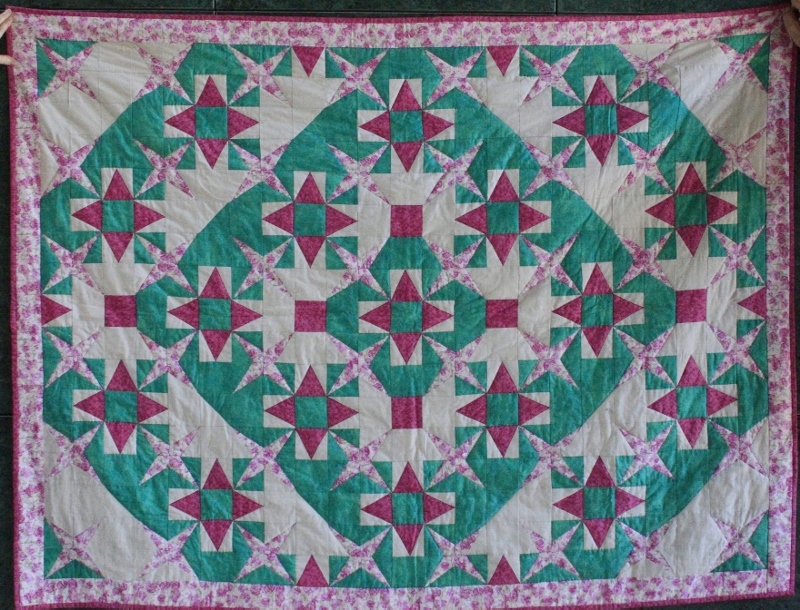 More than a dozen members took up the challenge, and in February 2013 we brought together the quilts that had been produced. 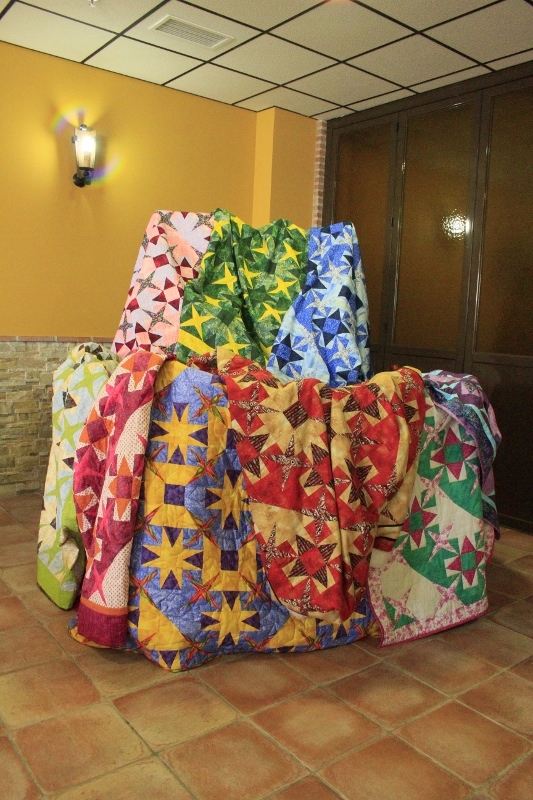 Check the pictures below - all these quilts were produced from exactly the same pattern, but the different colours and values chosen by the members make them so different!